By finding new and unique ways to engage consumers, brands can create value for new and existing customers. This involves creating content that’s new and fresh, and allows brand messaging to resonate with consumers at a different level. By leveraging Search Engine Optimization (SEO), brands can collaborate with industry influencers to promote product launches. By enlisting industry influencers, brands can increase their social following as well as drive traffic and leads to their landing pages and reach other KPIs. How? Consumers are likely to seek reviews from peers, family and friends, and even strangers before making a solid purchase decision. According to eMarketer, PWC found that 45% of online shoppers stated that social conversation and activities (reviews, recommendations, comments and feedback) affect their shopping behavior. By eliminating an extra step for consumers, brands have the opportunity to streamline the purchasing process. A brand’s products and services can dictate how well influencer outreach capabilities will help leads, traffic and overall performance. Based on the industry’s blog presence, brands can follow these three tips to enlist bloggers. Brands should reach out to influential bloggers to spark conversation and to help spread product awareness organically. Brands should also make sure that bloggers within their industry have enough social following for the blogger collaboration to be worthwhile. For one retail client, we learned that the majority of their consumers sought advice on retail purchases through blogs; therefore, we decided to implement outreach marketing for content promotion. By collaborating with bloggers and setting goals to increase sales and drive traffic through content promotion, one of our retail clients achieved a 43% organic ranking increase for product-related keywords. 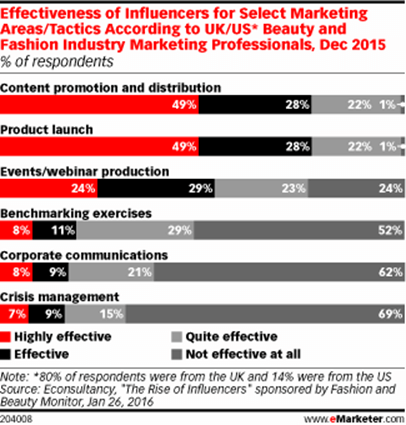 Brands must conduct substantial research to understand the digital influencers in their industry. Not all bloggers will be open to assisting with outreach efforts, which is why it’s crucial to reach out to several to cultivate a group of influencers who can either review a brand’s product or test the service. To do this, brands should reach out to bloggers that have either already shared, or seem like they may share, specific interest in the brand’s product. To illustrate, one of our CPG clients collaborated with bloggers to generate links for higher organic rankings. This led to 200K+ impressions. The work isn’t finished once bloggers have created reviews and sparked conversation. After this stage, brands should be aware that social sharing is just as important as creating conversations and generating links. Social signals also affect the SERP; as recently discussed, social content fuels SEO, especially after Google signed a deal with Twitter to index tweets to populate in the SERP. Brands should encourage bloggers as well as their followers to share their reviews on social, which will then spark additional conversation and provide Google with relevant content surrounding the brand. One of our CPG clients conducted an outreach campaign and discovered an astounding increase in Facebook, Instagram and Twitter impressions. When brands set a specific target, conduct outreach to the appropriate influencers and follow-up with generating social conversations, they will likely see an increase in rankings, leads and overall website traffic.